Thanks for all the sweet comments (many of them in person!) for my projects this week (I will definitely be wearing red more often). It’s been fun to get back to working on projects and writing about them here. Thanks so much for reading! 2. Floors. We ripped the carpet up in the den last week. I was really hopeful that what we would find would be workable. It wasn’t. 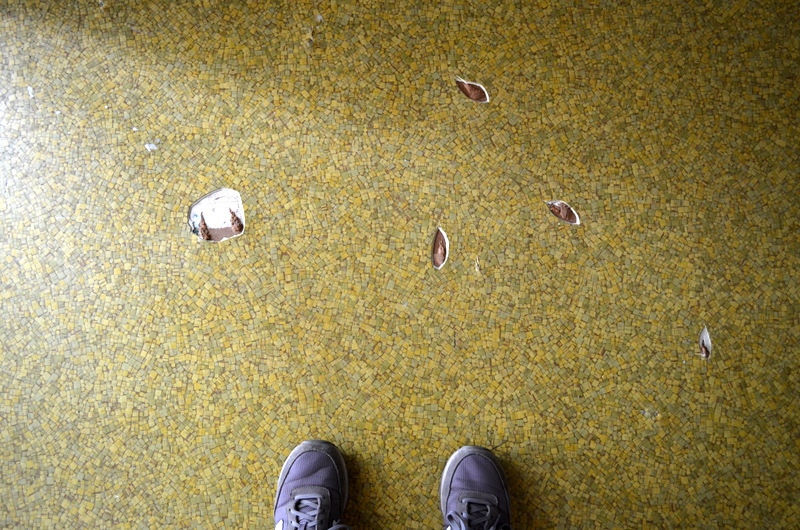 So there are currently about 20 holes in the 1960s linoleum, but, honestly? It’s better than the stinky carpet that was here. I’m wanting to do something a little “different” and definitely in white. Stay tuned. 3. Hand Lettering. My Pinterest boards are full of this kind of thing. 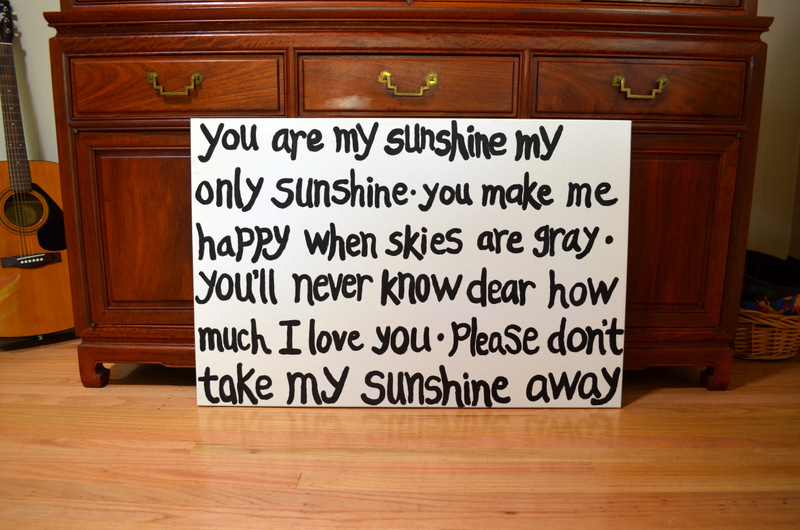 A couple of weeks ago, I finished this large canvas for BB’s room, and then yesterday, I got out my watercolors to try writing out my favorite quotes. Nothing was perfect, but it was a lot of fun experimenting. Makes me want to take a lettering class – add it to the Someday List. 4. Moms’ Night Out. It’s tonight. Hours with the loveliest group of women. I look forward to it all month. Enough said. 5. White Dresses. Apparently I really want a white summer dress, because I can’t stop pinning them. These are my favorites. I’ve got a red summer dress project I’m working on for next week, but I guess I should add “white dress” to my thrift wish list. And tell me, what’s filling your days this summer? Books? Projects? Things the kids are into? I’d love to hear. Enjoyed this! I love the idea of a white dress but I have a fear of getting sprayed with a water gun while wearing! Loved your red outfit. We are enjoying summer… Reading time, pool time, crazy time. Best thing so far has been reading on the porch first thing in the morning over coffee and breakfast. 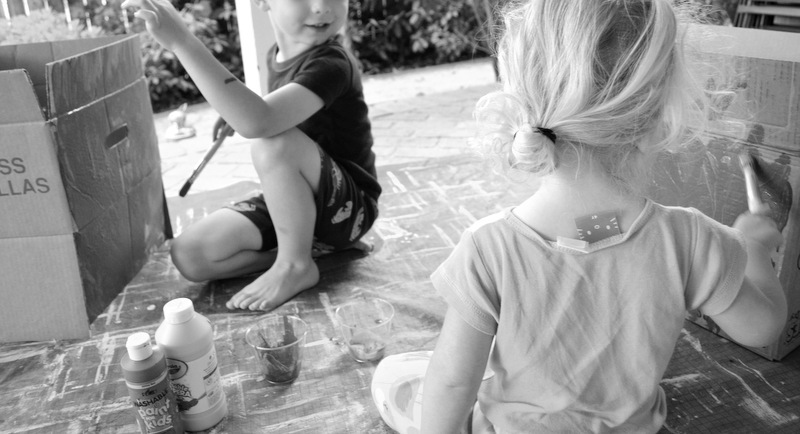 Yes, water and sticky little kid fingers and paint and dirt and…. I can dream! 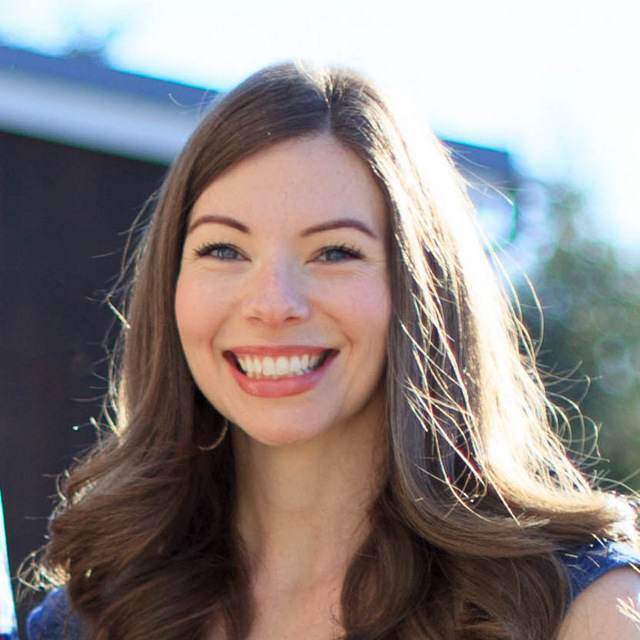 Reading on the porch with coffee – that’s happening tomorrow! Ha! I just found another one that is my new favorite. I kind of want to just make one from scratch. Is that crazy? !